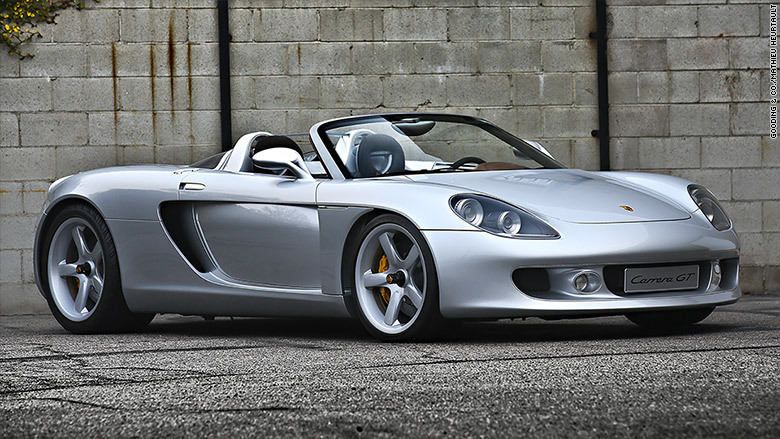 The Porsche Carrera GT model most recently came to fame as the car in which "Fast and Furious" star Paul Walker died. This was a prototype car Porsche built during the development of that model. Development work was originally begun with the intent to produce a race car, but what ultimately resulted was a street legal super sports car. Instead of competing on the track, the Carrera GT competed against new high-performance sports cars from automakers like Mercedes-Benz and Aston Martin. This is one of only two prototypes built as fully running automobiles, but it shares very few parts with the production car. Before selling this car to Seinfeld in 2007, Porsche removed the engine control computer, rendering it undrivable. Whoever buys this car must agree that it will never be driven.